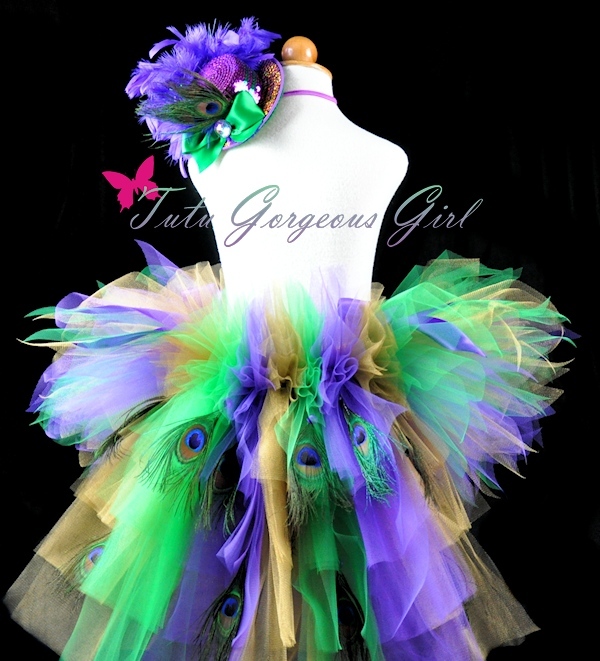 Women's Mardi Gras Peacock bustle tutu with peacock eye feathers . 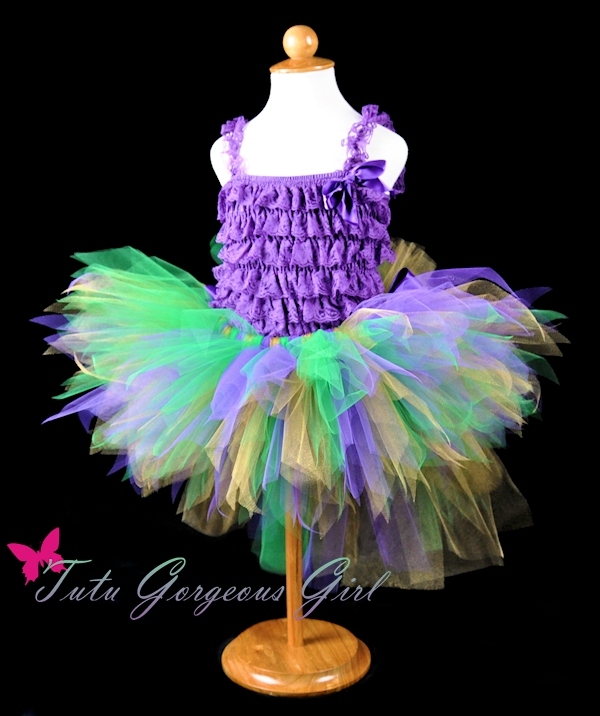 Green, Gold and Purple Mardi Gras Tutu. 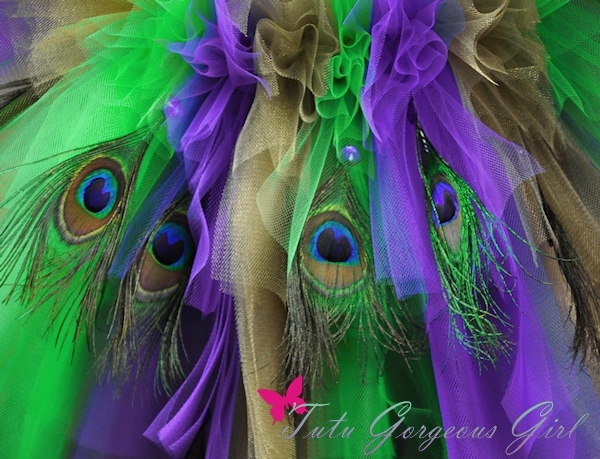 The women's Mardi Gras Peacock Tutu is a fabulous choice for celebrating Mardi Gras in style. This is also a fun tutu for a masquerade ball or Halloween party. 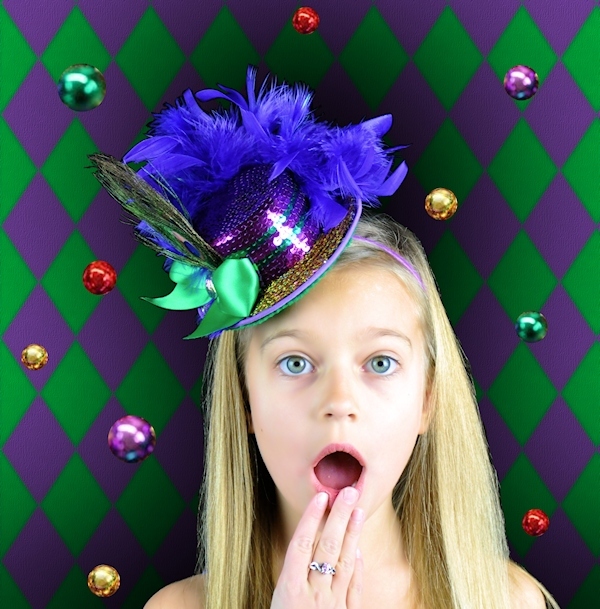 This tutu features emerald green, shimmer gold, and purple tulle. Two full rows of peacock eye feathers are securely attached to the bustle. And two satin bows adorn each side of the bustle. Tutu length is for the front portion of the bustle tutu and is offered in a 14 inch length for shortest, 18 inches for mid length, and 24 inches (same as bustle length).